Canterbury, Kent. October 16th 2012. 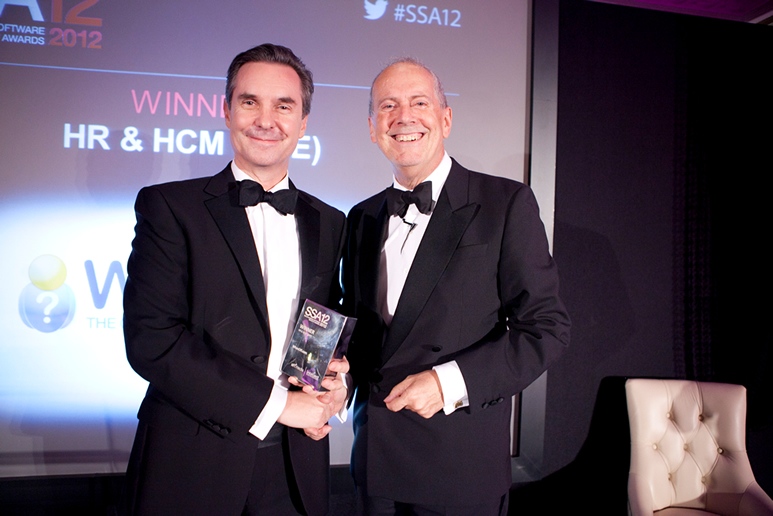 WhosOff.com won the UK’s Software Satisfaction Award on October 11th, in the “HR and Human Capital Management – SME” category, for its globally used online staff leave planner, WhosOff. The awards night, held at Harrods, was hosted by author, humourist, broadcaster and actor Gyles Brandreth, who was on top form and presented WhosOff.com co-founder and director Philip Cross with the award. Says Cross, “We are really proud to be flying the flag for Canterbury-based businesses and count local firms such as Motorline Group, Heritage Transport and Intake Engineering among our many users. In addition we were delighted to be on the winners’ rostrum alongside some of the biggest names in business-to-business software such as Salesforce, AVG and PostcodeAnywhere, among others. Cross adds that while WhosOff.com is keen to mention its local customers and presence, the company also helps UK exports with its users in more than 40 countries around the world. Users pay by monthly-based subscription and access WhosOff.com via laptop or desktop computers or by WhosOff’s mobile app for the iPhone and Android. Founded in Canterbury, Kent, in 2006, WhosOff.com offers a free, two month trial period of its full service, to enable users to fully evaluate it. The tool is used by more than 800 companies globally – 600 in the UK alone. Users include small businesses of four staff up to blue chip global companies with thousands of staff. WhosOff is a registered trademark in the UK and US. It is also available via a handy mobile app for the iPhone and Android. WhosOff.com, used by 800 companies around the world, 600 of them in the UK, will learn next month if it has gained the £10,000 prize as overall winner, or if it has won one of six special awards for innovation, technology, resources, marketing, people and social impact. All winners will be announced at The Smarta 100 Awards final on Thursday, November 8th at London’s Proud2, The O2, Greenwich. Voting is already under way by judges Theo Paphitis (Ryman and Dragons’ Den), Sháá Wasmund (Smarta), Ben Dowd (O2 UK), Rowan Gormley (Naked Wines), Mike Soutar (ShortList Media), Thea Green (Nails Inc) and Alastair Lukies (Monitise). The £10,000 prize is courtesy of 02. 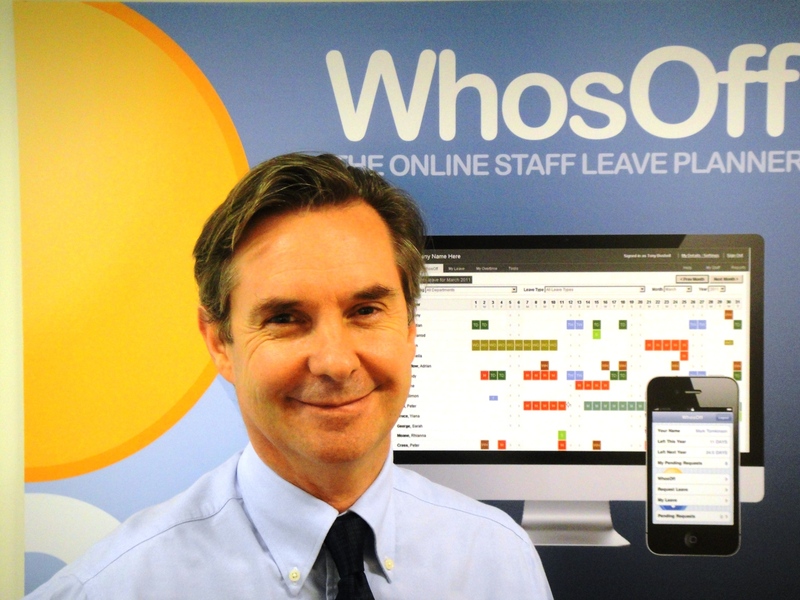 It is the second time in two months that WhosOff.com – used in 42 countries around the world, by start-ups, SMEs and blue chip corporations – has featured in a UK-wide award. In August, WhosOff.com was shortlisted for the Small Online Business of Year Award at this year’s National Business Awards in partnership with Orange, the winners of which will be announced on November 13th. In total, 2012’s Smarta 100 are generating revenues of over £200 million a year and employing more than 1,104 people. Sixty six per cent of the 100 – WhosOff.com among them – are self-funded. Smarta is the UK’s leading online resource for start-ups, small business owners and entrepreneurs. Smarta also operates Smarta Business Builder, a cloud-based toolkit offering accounts, website, email, legal docs and business planning software from a single web page from £20 a month. Smarta was founded by Shaa Wasmund and is backed by some of the UK’s top entrepreneurs, including Deborah Meaden, Theo Paphitis, Michael Birch and Sir Richard Needham. At the heart of everything Smarta does is a commitment to encourage more people to start and grow successful businesses. Smarta is supported by RBS, Intuit, NatWest, Viking and Mishcon de Reya. O2 runs 2G and 3G networks and was the first to trial 4G/LTE, reaching speeds of over 100Mpbs, as well as owning half of Tesco Mobile. It also operates O2 Wifi, O2 Health, O2 Unify, O2 Media and has recently launched the O2 Wallet. O2 employs over 11,000 people in the UK, has 450 retail stores and sponsors The O2, O2 Academy venues and the England rugby team. Telefónica UK Limited is part of Telefónica Europe plc which uses O2 as its commercial brand in the UK, Ireland, Slovakia, Germany and the Czech Republic and is a business division of Telefónica SA. August 30th 2012. Canterbury, Kent, UK. WhosOff.com – the online staff leave planner used by more than 800 companies across the UK and around the world – has been shortlisted for the Small Online Business of Year Award at this year’s National Business Awards in partnership with Orange. WhosOff.com generates revenue via a subscription model and counts SMEs and some of the biggest British and global brand names among its customers. The winners of the awards will be revealed at the National Business Awards gala dinner on 13th November 2012 in London, where WhosOff.com will rub shoulders with companies from across the range of award categories, including National Grid, Marks and Spencer and London Early Years Foundation. The National Business Awards has revealed that more than 150 of Britain’s leading businesses and business leaders are finalists in its awards programme. Founded in Canterbury, Kent, in 2006, WhosOff.com offers a free, two month trial period of its full service, to enable users to fully evaluate it. The app is currently used by more than 800 companies globally – 600 in the UK alone. Users include small businesses of four staff up to blue chip global companies with thousands of staff. WhosOff is a registered trademark in the UK and US. You are currently browsing the archives for the WhosOff.com category.